Join the founders of THIS X THAT and six emerging American architectural designers for Architecture 101: Beyond Buildings, a conversation centered on object and installation design as an extension of architectural practice. Participating designers include Jonathan Louie and Nicole McIntosh of Architecture Office, Erin and Ian Besler of Besler & Sons, and Joanna Grant and Jimenez Lai of Bureau Spectacular. This conversation is presented in conjunction with the THIS X THAT pop-up at the MOCA Store at The Geffen Contemporary at MOCA. The pop-up features limited-edition objects for home and garden designed by architects, offering imaginative solutions for everyday life. 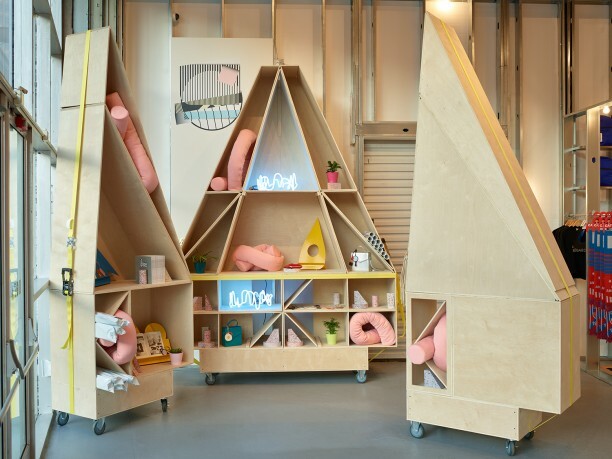 The objects are housed in a unique retail display system designed by Besler & Sons, derived from vernacular residential forms.